Headset | Magnum Electronics, Inc.
David Clark engineers designed a new rugged intercom headset system with the introduction of the Series 9100. The new digital architecture provides clear communications and single or multi-channel programming for any number of users. System components include a variety of noise-cancelling headsets, master station, user gateways, and wireless belt stations. They are manufactured with marine grade parts and are watertight when possible. 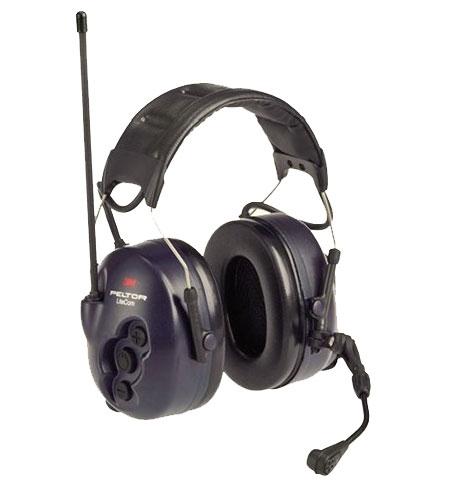 The 9100 headsets are not compatible with the older Series 9900 wireless intercom system. 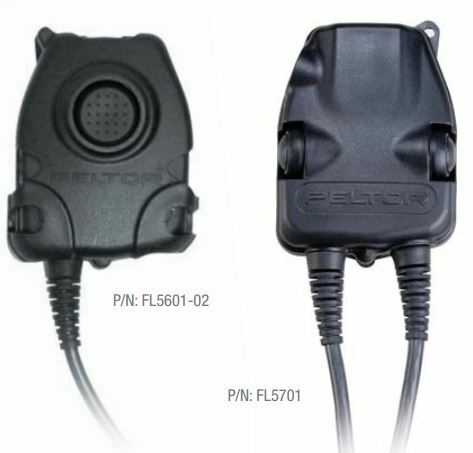 Series 9100 Digital Headsets feature an integrated momentary PTT switch located at the microphone bracket. The PTT switch is easy to find and convenient when you need to adjust the location of the noise-cancelling boom mic. Headset NRR ratings are 23 decibels for the over-the-head style H9130 and behind-the-head style H9140. 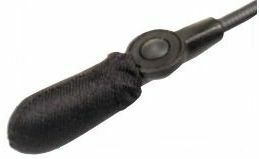 The C91-20RD interface cable is used to interface a marine or mobile radio. The cable is unterminated at the radio end so that the installer can choose the correct connector. We have been notified a 3M price increase and system upgrade will start after 3:00pm next Thursday, 7/26. No orders will be processed by 3M until August 2nd. Their customer service team will not be able to provide order status during the 7 day upgrade period and we expect additional shipping delays. 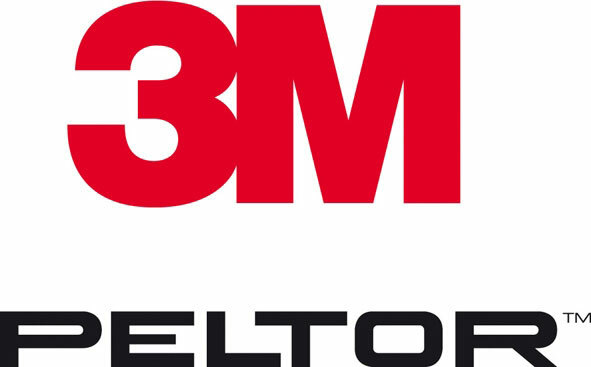 All 3M Peltor products will be affected including LiteCom 2-way radio headsets, ComTac & SWAT-Tac police tactical headsets, and all 3M Peltor accessories. 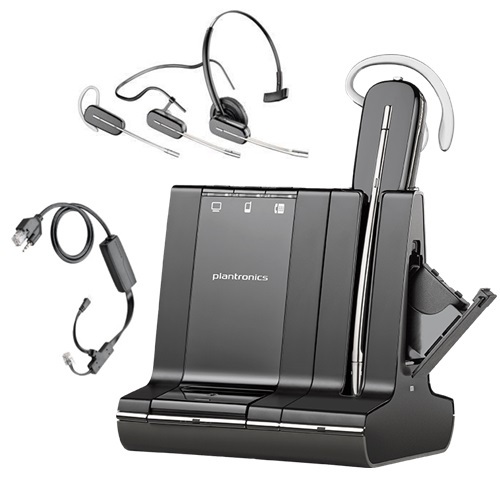 Choosing Plantronics Headsets – Wired, Bluetooth, or DECT 6.0? Unified communications, noisy work areas, and the need for collaboration has increased the need for headsets. There are many types available and we found “one style does not fit all” in most organizations. Wireless headsets have become popular and allow workers to maintain communications when not at their desk. Today’s headsets also provide powerful analytics and require firmware upgrades for best performance. Plantronics has been a leader in headset comfort for over 50 years and offers wired or wireless headsets for all market segments. Recently, eight of our employees earned sales and technical certifications at Plantronics University for improved customer support. Magnum Electronics is approved for all Plantronics certifications including unified communications (UC), contact centers (CC), and small & medium business (SMB). We can help select the best headset solution and support large deployments with Plantronics Hub or Manager Pro cloud-based software. Direct-connect headsets are still the best solution for areas with high radio-frequency interference. They are powered by the connected device and don’t need a battery charger. Choose binaural (dual ear) or monaural (single ear) depending on noise environment and user preference. The Plantronics Blackwire 5200 series have USB-A, USB-C, or 3.5mm connector plugs. The EncorePro series and SupraPlus models are also popular wired models and are used on many Motorola dispatch consoles. Wireless Bluetooth headsets are the most popular for mobile workers. They easily connect to smartphones, tablets, and desktop computers. 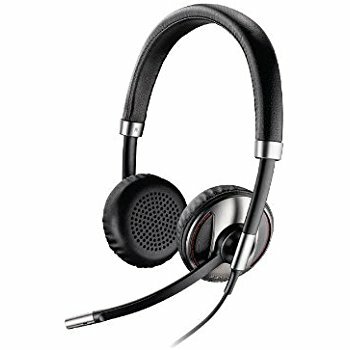 The Plantronics Voyager 5200 UC has superior noise-cancellation and advanced sensor technology. Conference calls, webinars, and important conversations can be taken in the vehicle or on the move. Plantronics offers headsets with a BT300 Class 2 Bluetooth adapter (up to 30 ft range) and a BT600 Class 1 adapter with up to 98 ft range. Other popular Bluetooth models include Legend UC, Legend CS, Focus UC, M70, and Marque 2. Bluetooth frequencies share the same band as WiFi so interference could cause problems if operating close to an access point. 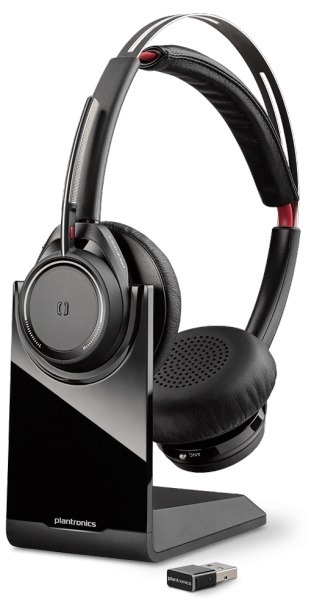 The recommended Plantronics wireless headsets for use in facilities with dense WiFi and strong interference are the Savi 700 series, Savi 440, or CS520. They utilize DECT 6.0 frequencies that don’t interfere with WiFi. DECT 6.0 also provides better range than Bluetooth by allowing you to roam up to 350 feet from the base/charger. 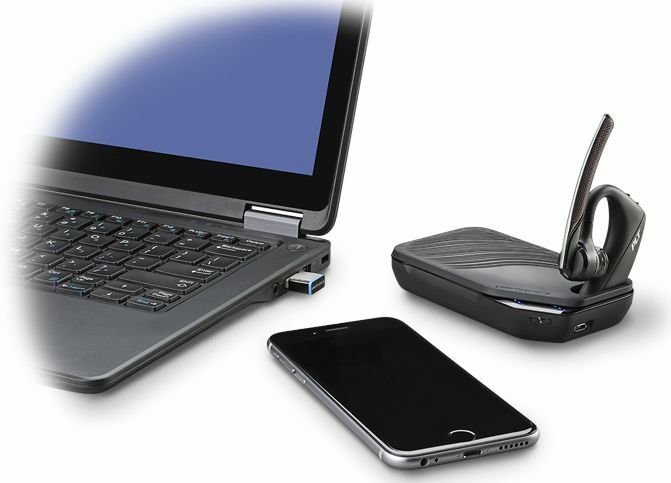 The Savi 700 and 400 series also have Bluetooth for easy connectivity to a computer. For a formal quote contact our Dover, Delaware office at 302-734-9250 M-F 8-5pm or use the form below. 3M Peltor is now shipping an improved TEP-200 tactical electronic earplug designed for the military, SWAT teams, and law enforcement. Level dependent technology instantly provides hearing protection for harmful noises and also increases low sounds during quiet periods. The earpieces now have tiny antennas that allow audio to be received wirelessly using an optional neckloop. The TEP-LOOP-200 plugs into the 3.5mm jack on the remote speaker-microphone or any other audio source. 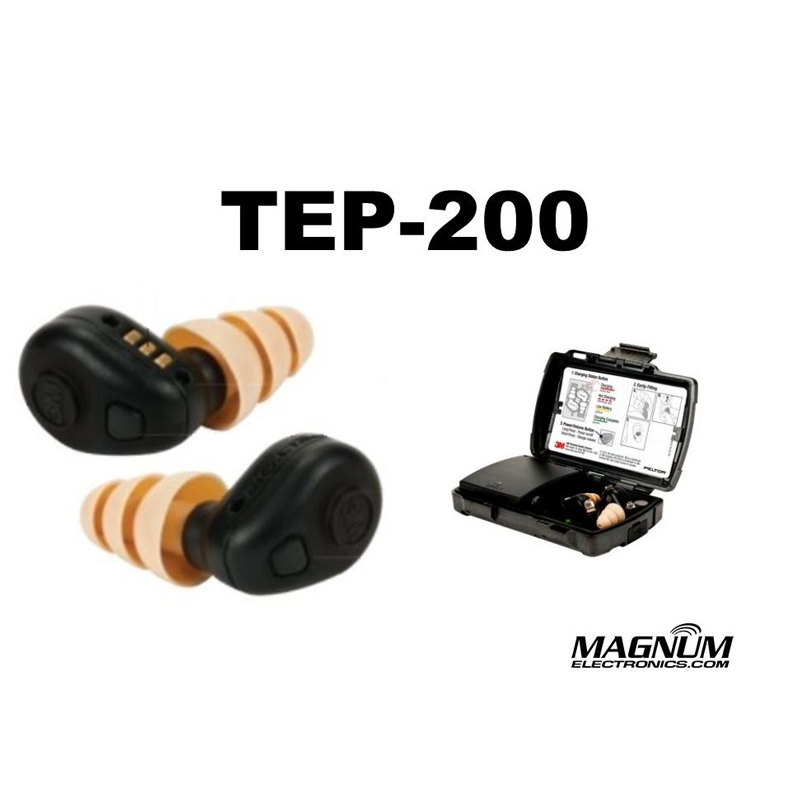 The TEP-200 earplugs are receive-only. To transmit, the user would press the push-to-talk button and speak into the microphone. The TEP-200 is rated IP67 for submersibility and lasts up to 16 hours of continuous operation. Ultrafit 23 dB NRR and 27 dB NRR Triple-C communications eartips are included. Optional 30 dB 370-1019-10 Skull Screw eartips are available for extreme noise hearing protection. 3M also introduced the LEP-200 designed for construction and industrial workers. Although it lacks the IP67 rugged rating, it offers the same functionality as the TEP-200. The original TEP-100 without wireless connectivity is also still available. 3M announced a new WS LiteCom Pro III headset with a built-in analog and DMR digital programmable two-way communication radio, level-dependent hearing protection, Bluetooth functionality, and a jack to connect external devices. The headset will provide up to 11 hours of typical use with the included battery and charger. 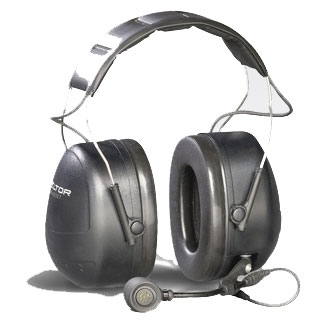 Links to a complete list of 3M Peltor products, LiteCom 2-way hearing protectors, and Litecom replacement accessories. Motorola APX P25 and MOTOTRBO DMR radio users working in high noise environments can now use 3M Peltor hearing protection. There are 14 headsets certified in a variety of styles with up to 26dB NRR. All are optimized for digital and carry a 12 month warranty. Direct connect headsets do not require an adapter and include the push-to-talk button on the earcup. The RMN5137 over-the-head style provides a 25dB noise reduction rating. RMN5138 behind-the-head version offers 24dB and can be worn with headgear. There is also the RMN5139 with clips for hardhat attachments. All have noise-cancelling boom microphones. Standard headsets with Nexus plugs use the PMLN6095 APX/MOTOTRBO adapter. This PTT cable is not compatible with the ComTac III or SWAT-Tac models that require NATO wiring. Specs are identical with the direct connect models and the same style choices are available – PMLN6088, RLN6477, or the RMN4051. Motorola offers listen only headsets with both threaded and non-threaded plugs for use with remote speaker-microphones. Most RSM’s with a 3.5mm jack require a non-threaded accessory plug. 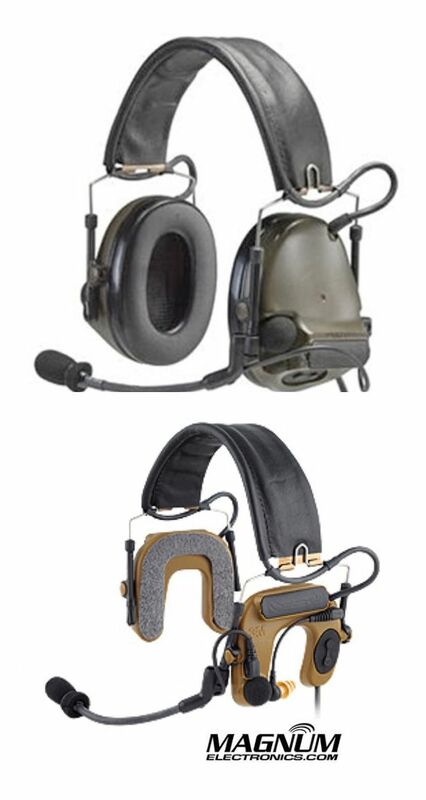 The RMN4055 (headband), RMN5132 (Neckband), and RMN5133 (hardhat) are the most popular. 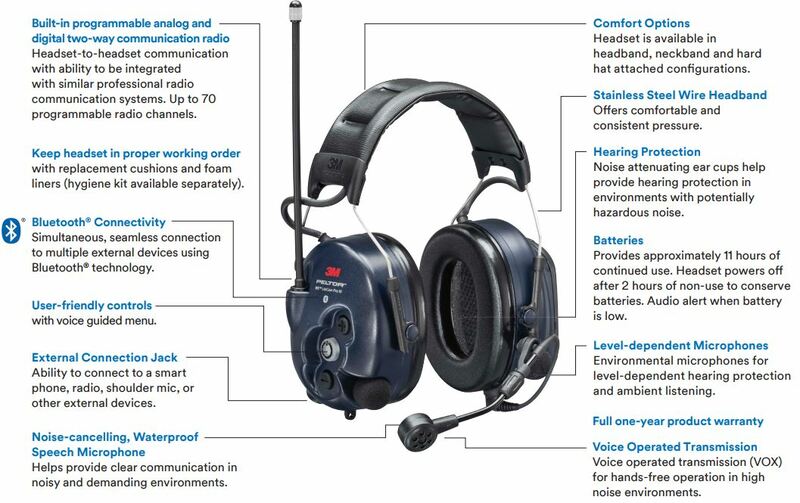 The exception is the NNTN8383 RSM with an industrial noise-cancelling (INC) microphone. The 3.5mm threaded jack is located on the the cord. The RMN4057 with hardhat attachment and threaded plug is the correct choice. For headband style and 3.5mm threaded connector choose the RMN4056. 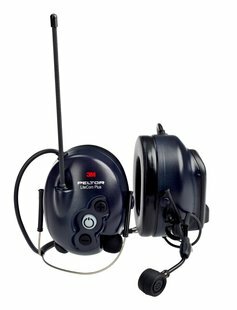 3M Peltor TacticalPro electronic headsets include small microphones on the ear cups to pickup surrounding sounds for increased awareness and safety. The TacticalPro works great in environments with harmful impulse noise because it instantly block harmful sounds. It also will amplify low sounds to a comfortable level when needed. These headsets also use the PMLN6095 Nexus radio adapter and are available in all 3 styles – RMN4052, RMN5135, and RMN4053. The Motorola 3M Peltor Cross Reference Chart shows all of the Motorola certified headsets and the associated 3M Peltor part numbers. The headsets are optimized to work with APX 8000, APX 7000, APX 6000, APX 4000, APX 3000, and APX 1000. MOTOTRBO radios include the XPR 7000 and XPR 6000 series. Nexus adapters are also available for Motorola XTS 5000, XTS 2500, XTS 1500, PR1500, PR860, HT1550, HT1250, HT750, CP200, and CP185. 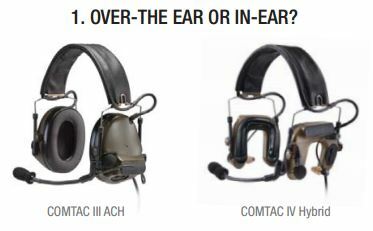 Selecting the correct COMTAC tactical headset for your police SWAT team or military unit can be confusing. There are hundreds of choices and it can take a long time to research them. In order to make the right decision faster 3M Peltor developed a list of questions to guide you to the correct model. Question 1: Cover Your Ears or Select Hybrid that Uses Earplugs? 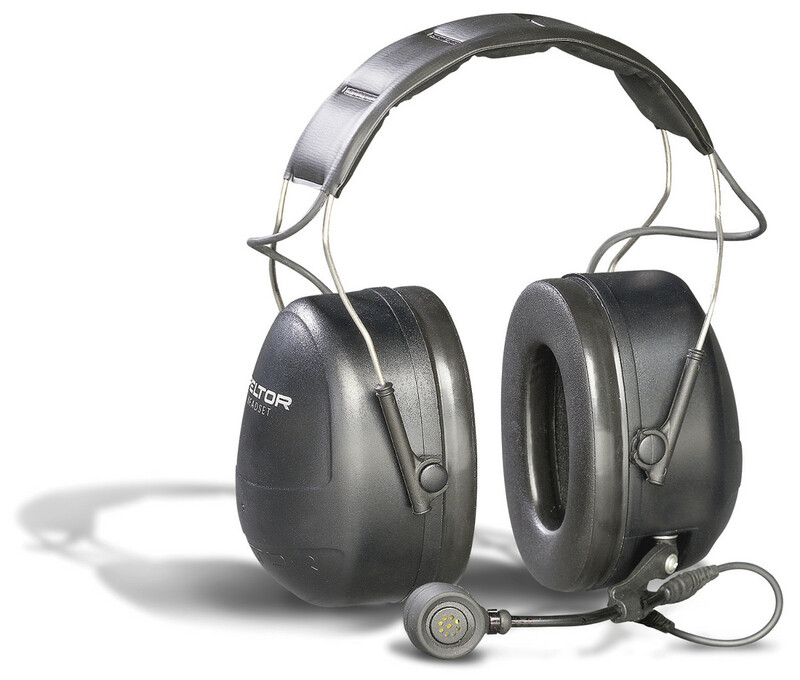 Tactical electronic headsets that provide situational awareness have small microphones mounted on the earcups that instantly block harmful noise. The COMTAC III has the traditional earcups but now 3M offers the COMTAC IV with earplugs that provide additional comfort in hot environments. Both are designed to fit under a ballistic helmet. Question 2: Band Style – How Will You Wear it? The COMTAC III is available in three different styles. The most popular is the headband, over-the-head style. Headband style is foldable when not in use and has been preferred by most military and law enforcement teams. If you prefer to wear your headset behind-the-head, 3M provides a neckband version. *Neckband is only available with COMTAC III. 3M recently introduced a third configuration – COMTAC III ARC. Designed for the Ops-Core FAST Helmet, the mounting mechanism clips to the Accessory Rail Connector. Question 3: Radio Communications? More than One? Depending on your mission and the need for interoperability, COMTAC headsets can connect to one or two different 2-way radios. Single COMM terminates in a NATO wired U/174 quick-disconnect plug designed for the appropriate radio adapter needed. One two-way radio is supported. If your agency or mission requires interoperability with teams using different two-way radios, a Dual COMM headset will allow you to connect two different radios to your headset. Each COMTAC headset earcup will have a short cord with NATO wired U/174 plugs. Two adapters are required and you can talk on either or both radios using either PTT button. A Dual COMM with split audio is also available for special military applications using a dual PTT adapter. Question 4: Choose Available Color? 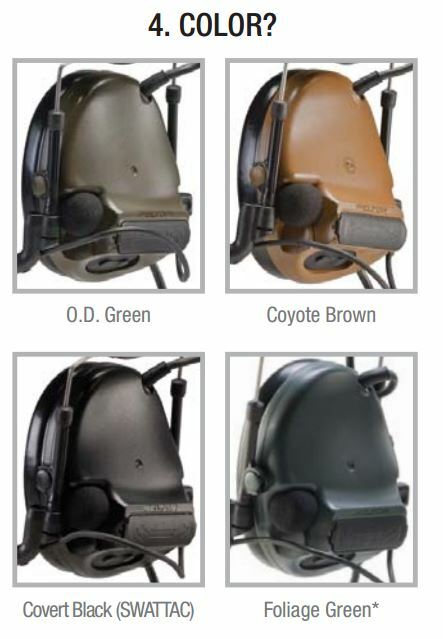 Most COMTAC III headsets are available in four different colors. The last two letters of the model number indicate the headset color. SV indicates black and is the only difference between a COMTAC and a SWAT-TAC. CY indicates coyote brown, GN is O.D. or olive drab green, and FG is a lighter foliage green. Foliage green is not available with COMTAC IV. Depending on the model, some colors are special order. Question 5: What Radio or Intercom Are You Connecting? To choose the correct adapter you need to know the radio manufacturer (Motorola, Kenwood, Harris) and the specific model ( APX 6000, XTS 5000, etc). COMTAC headsets are only compatible with NATO wired adapters. The specific model number should have “-02” end the end (i.e. FL5063-02). It is not possible to modify the adapter if it is wrong. 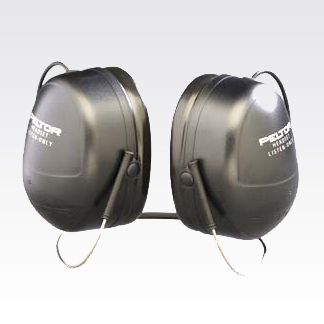 Visit our 3M Peltor headset store for the best selection of 2-way radio hearing protection accessories. We also have all of the 3M NATO adapters online for easy ordering. Contact us if you need help by using the the form below. David Clark Company recently announced a new line of rugged headsets with low energy Bluetooth 4.0 wireless connectivity. The Aurora Class HBT Series include marine grade hardware, comfort gel ear seals, and a USB charging cable. All HBT models provide 23dB NRR (Noise Reduction Rating) for excellent hearing protection. There are 3 different styles and all carry a 12 month warranty. 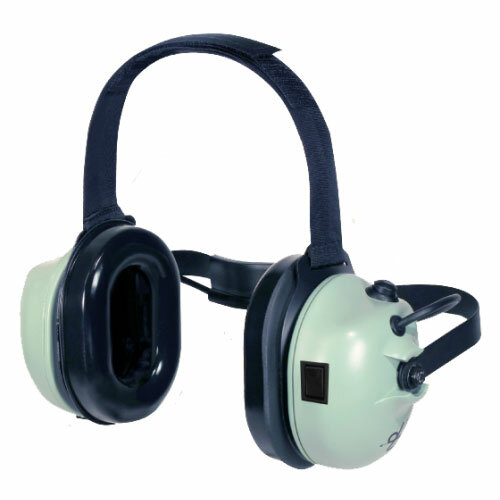 The HBT-30 has a headband for wearing over-the-head and the HBT-40 has a neckband for use with hardhats. Both utilize a M-55 noise-cancelling electret microphone. The HBT-60 is also a behind-the-head style and is identical to the HBT-40 except it lacks the microphone. This is a listen-only headset for users who only need one-way communications. 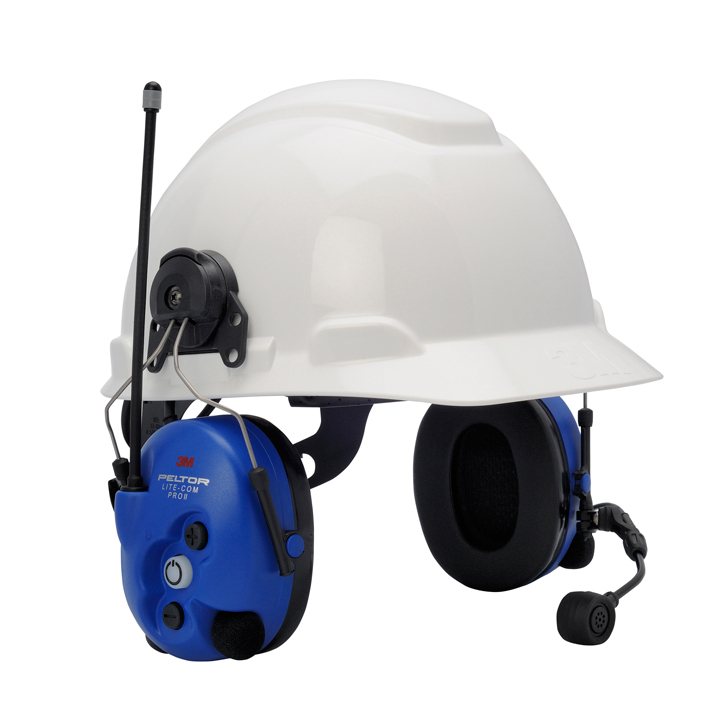 The HBT series headsets are designed to work with any standard Bluetooth smart device or 2-way radio adapter. HBT headsets use a rechargeable battery that provides up to 80 hours of continuous listening or 140 hours on standby. Range is up to 30 feet from the two-way radio adapter or smartphone. All HBT headsets are RoHS Compliant, FCC Approved, and made in the USA. Download David Clark Aurora Data Sheet and HBT User Manual. 3M Peltor solutions are designed for public-safety and industrial 2-way radio users who need to communicate in high noise areas. If your department has a hearing conservation program, 3M offers UHF 2-way radio headsets or can easily integrate with Motorola, Kenwood, or any 2-way radio using a 3.5mm adapter. 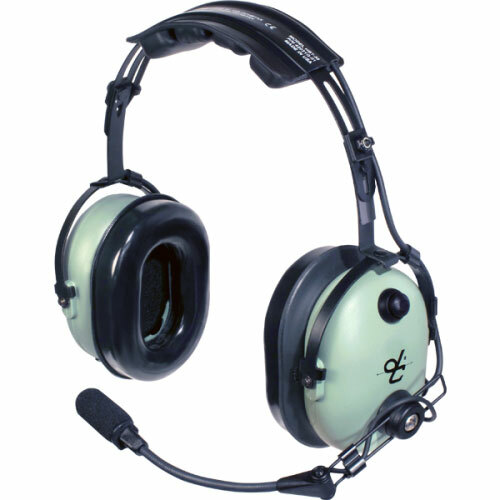 Litecom series headsets include a low power UHF 2-way radio built-in with an antenna on the ear cup. 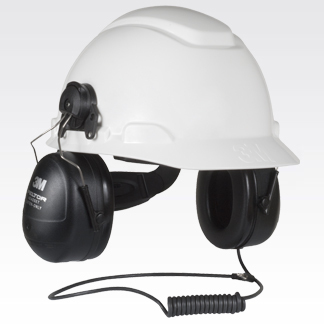 There are 3 styles – headband, neckband, and hardhat mount. No FCC license is required and the range is adequate for most on-site work groups. LiteCom BRS models include 8 pre-programmed business channels and provide a 25 dB NRR (Noise Reduction Rating). Two AA batteries will allow up to 20 hours of use or an optional rechargeable battery pack is available. There is a noise-cancelling boom microphone with a push-to-talk switch on the cup or hands-free voice activated VOX is possible. LiteCom Plus series include microphones on each cup that allow users to hear clearly while wearing the headset for improved safety. When a harmful noise is detected the headset instantly blocks it. It works great when working in an inconsistent environment with impulse noises that require 2-way communications. It includes a rechargeable battery pack, 30 business/GMRS channels, and 25 dB NRR. If working in hazardous atmospheres choose the Litecom Pro II series that are intrinsically-safe (IS) and FM approved. The certification includes Class I, II, III, Division 1, applicable Groups A through G, T4, -20°C≤Ta≤50°C; Intrinsically safe, Class I, Zone 0, AEx ia IIC, T4, -20°C≤Ta≤50°C, hazardous (classified) locations. The Litecom Pro II is capable of custom programming to almost any UHF FCC licensed frequency with 3M software and a USB dongle. The MT Tactical Pro series adapt with most radio models using a Nexus push-to-talk adapter. The HT listen-only series are connected using a 3.5 or 2.5mm cable. There are also wireless headsets that eliminate the need for an adapter and will pair with any Bluetooth enabled two-way radio or cell phone. The 3M Peltor COMTAC and SWAT-TAC tactical headsets provide environmental listening and integrate to most 2-way radios with a wired NATO adapter. SWAT-TAC models are the same product as COMTAC except they are black in color. COMTAC III ACH ear cups cover the ears and COMTAC IV is a hybrid style that uses earplugs. There are 3 styles – headband, neckband, and ARC (rail connectors). The headsets can attach to one (single comm) or two (dual comm) portable radios simultaneously for interoperability. COMTAC color choices are O.D. green, coyote brown, foliage green, and black. According to OSHA, approximately 30 million workers are occupationally exposed to hazardous noise. 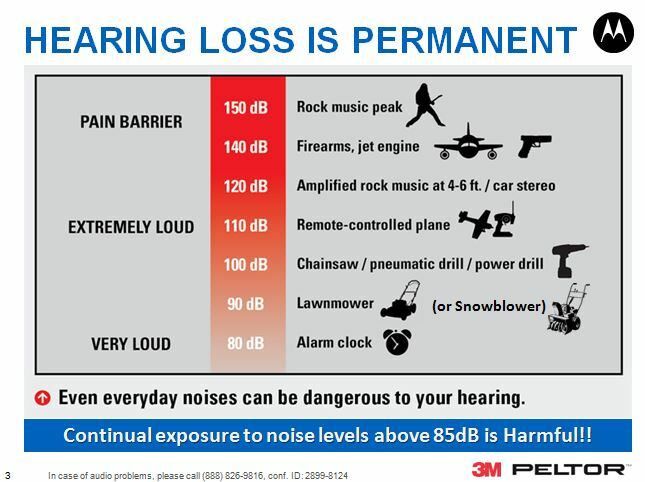 3M is a leader in hearing protection and manufactures high quality products, replacement accessories, and depot repair service. To see all their two-way offerings download the 2015 3M Peltor communications product catalog. Need a quote or want to discuss your application? Call our office at 302-734-9250 M-F 8-5pm EST. Motorola Solutions and their partner supplier, 3M Peltor, recently introduced new radio headsets for high-noise environments. Come meet their senior management and corporate specialists at the Magnum Electronics Technology Center on Wednesday, 6/18 from 4-6pm. There will be hands-on demonstrations using APX and MOTOTRBO radios. If your organization has a hearing conservation program and you use two-way radios, this is a rare opportunity to meet experts in a casual setting who understand current OSHA standards. There will be numerous solutions on-hand with different noise-reduction ratings (NRR). Electronic headsets with ambient listening designed for military and SWAT teams, hardhat style, and 3.5mm receive-only for shoulder microphones will be displayed. 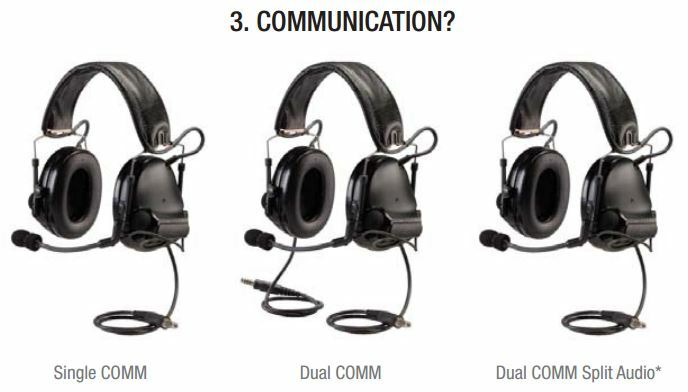 New “direct-connect” over-the-head RMN5137, behind-the-head RMN5138, and hardhat mount RMN5139 headsets for APX and XPR 7000/6000 series do not require an adapter. Our technology “Happy Hour” style event starts at 4:00pm. Refreshments from our neighbor, Fordham and Old Dominion Brewing, will be provided. Fire Chief Buffy Madden from Marydel and owner of First Due BBQ will supply the food. Let us know you are coming on Google+, Facebook, Twitter, LinkedIn, or on the form below.